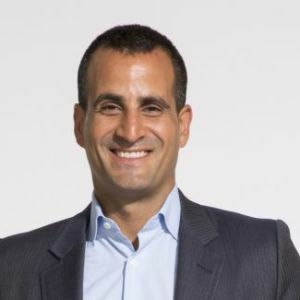 Som Seif is the founder and chief executive officer of Purpose Investments Inc., an innovative and leading institutional and retail investment manager. Through Purpose, Som is building on his vision of empowering investors with the tools to build more resilient portfolios. Under his leadership, the company works to develop innovative solutions to investment problems in a rapidly changing investment world, including some of the highest-quality investment strategies, affordable and accessible alternative strategies and risk-managed products. Prior to starting Purpose, Som founded Claymore Investments in January 2005 and served as president and CEO, leading the implementation of the company’s business development and corporate strategies. Over its seven years of operation, Som organically grew Claymore to $8 billion in assets, before being sold to BlackRock Inc. in March 2012. Som is a Chartered Financial Analyst and has a Bachelor of Applied Science with an emphasis on Industrial and Systems Engineering from the University of Toronto. In 2011, he was recognized for his vision and leadership by Caldwell Partners International with a Top 40 Under 40 award. Som has a strong commitment to community and is currently a member of the Sunnybrook Hospital Foundation Board, Chair of the Art Gallery of Ontario Corporate Development Committee, a member of the Art Gallery of Ontario’s Foundation Board and University of Toronto Mechanical & Industrial Engineering Advisory Board, and a board member of The Next 36.